Does an '01 Jimmny have an oxygen sensor and fuel filter? have a 2001 jimny and have a couple of questions. bought an owner's manual but they sent one for a new model. does the 2001 models have an oxygen sensor. the manual i have suggests that some do and some don't but doesn't elaborate any further than that. also, do 2001 models have a fuel filter. manual suggests that only the diesels have one. i know you are probably wondering why don't i just go look. well i'm in latvia, i have not garage, we are covered in snow and it is far below zero. Pretty sure they've got a fuel filter Nickey, and if it's fuel injected it will probably have an Oxygen Sensor too. Hopefully one of the Jimny Owner/readers can help you with info on where they both are. 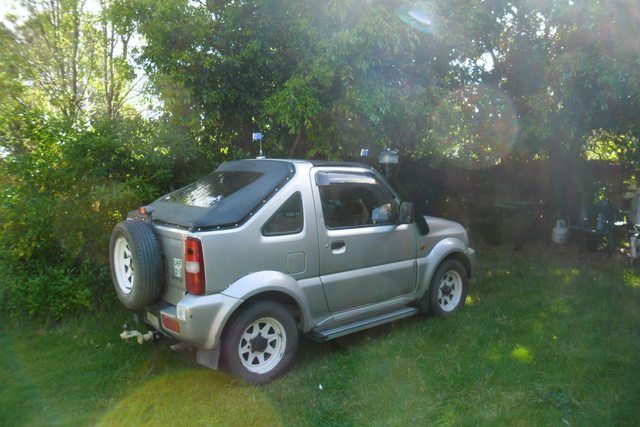 My Jimny Fastback is a 2001 model with the G13BB engine which is the SOHC model. The Oxygen sensor is down on the exhaust and the Fuel Filter is inside the fuel tank along with the fuel pump. Not sure about the M13A DOHC engine.